Porvair Sciences announce how its Chromatrap® Lysis and Hypotonic buffers play a crucial role in enabling researchers to better explore and understand the underlying processes and mechanisms that drive biological organisms. There are many benefits to using Chromatrap® buffer reagents for lysing cells. These buffers have been formulated to act rapidly, gently and efficiently, ensuring reproducible results with high-quality chromatin yields from various sample types. With chromatin being at the heart of Chromatin Immunoprecipitation (ChIP), the extraction and purification of chromatin is a vital starting point for epigenetics research. Chromatrap® Hypotonic Buffer has been widely proven to provide effective disruption of cell membranes through swelling of the cells. 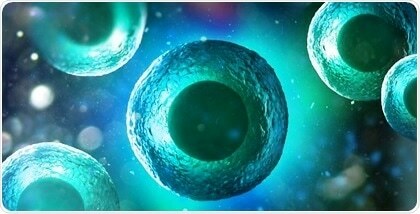 Benefiting from its optimized proprietary composition - Chromatrap® Hypotonic Buffer delivers effective lysis of cell membranes to aid in the release of cell nuclei from a wide range of different organisms. Chromatrap® Lysis Buffers are formulated to ensure the nuclear membrane is disrupted releasing a high yield of nuclear material for your research. The Chromatrap® Lysis buffer for enzymatic shearing provides users with a complete lysis buffer for the disruption of nuclear cell membranes containing a milder detergent than that required for mechanical fragmentation. Alternatively, the Chromatrap® Lysis buffer for sonication is formulated to ensure effective nuclear lysis and mechanical shearing for a range of different species of organism and is ideal for difficult to lyse cell types and tissues. This detergent-based buffer is ideal for the fragmentation of samples by sonication. With the success of a ChIP assay being highly dependent on the quality of chromatin prepared, using Chromatrap® buffer reagents to isolate chromatin from your sample can play an important role in the success of this process.